Rivers in India do not just play a big role in the agriculture and economy of the country. They are also culturally important with many considering some rivers such as the Ganges very holy. All the major rivers of India begin their journeys at one of the three main watersheds – The Himalaya and Karakoram mountain ranges (Northern India); the Sahyadri or the Western Ghats (Western India); or the Vindhya and Satpura mountain ranges (Central India). Most of the major rivers of India end up joining the Bay of Bengal or the Arabian Sea. Ganga is the most sacred river of India and is known around the world for its significance of purity in the Hindu culture. 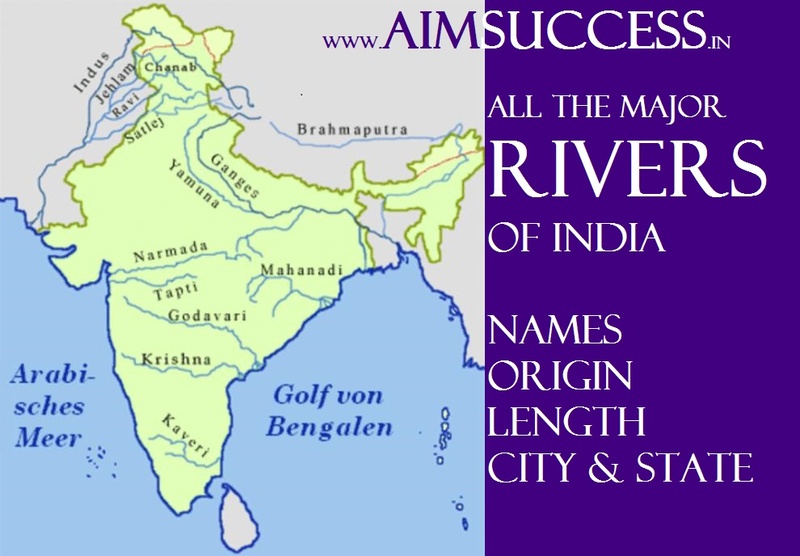 The Ganga and Indus Basin are themselves major river systems featuring 16 important Indian rivers (10 rivers in Ganga basin and 6 major rivers in the Indus basin). Although Hugli and Damodar rivers play a very important role in shaping the local civilisation and local economy, they are not considered as the most important rivers of the Ganga river river system. River Saraswati is a mythical river and is part of the Hindu triveni Sangam mythology of the confluence of Ganga, Yamuna and Saraswati rivers. Saraswati river is thought to be flowing under the ground and meeting Ganga and Yamuna at the Kumbh mela spot. Meghna a major river in Bangladesh is a tributary if Indian Brahmaptura river and also empties in Bay of Bengal. River Tapi is a river in Thailand and is not to be confused with Indian river Tapti (Tapati).